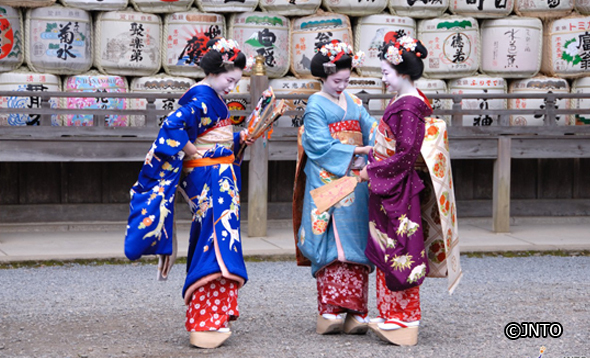 At Gion Corner, see traditional performing arts such as Maiko (apprentice geisha) dancing, Bunraku (puppet theater), and Kyogen (comic theater). 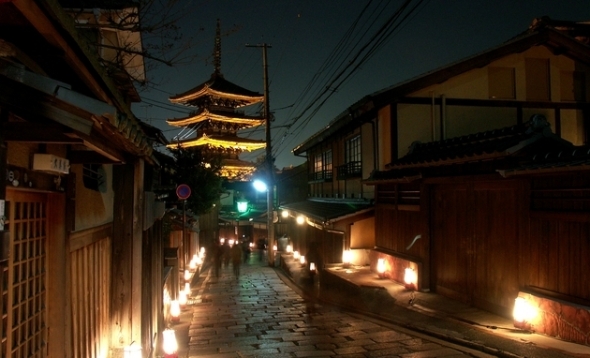 Take a stroll through Gion's unique atmosphere at night accompanied by a guide. Experience a candle-lit tea ceremony, something available only on this tour. Enjoy a Zen-style dinner focused on vegetarian cuisine. 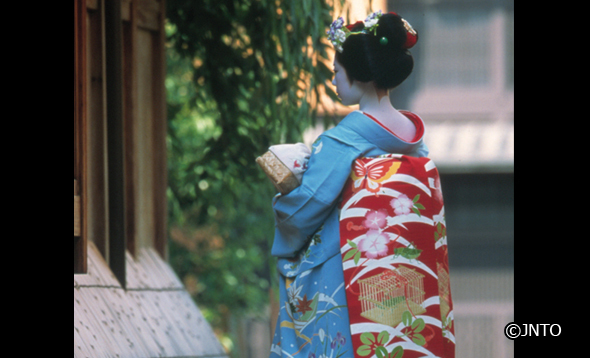 Pick up service is available at selected hotels in Kyoto. You will visit Gion corner. You can enjoy wathing/experiencing Japanese traditional perfomances, including Japanese traditional dance, Noh, Kyogen, Bunraku, Koto, Japanese traditional flower arrangement. 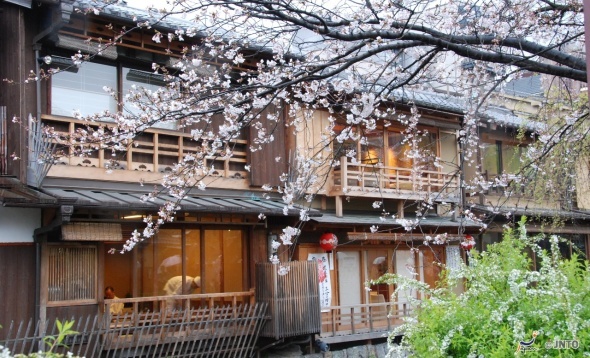 Then you'll take a walk in Gion Hiitorical Preservation District while heading for Yoshiima Ryokan..
- It was established in 1962, and has been popular among international tourists because you can learn and enjoy an overview of Japanese culture. Board taxi and arrive back at hotel. <2018> Mar.17-Nov.29: Tue., Thu., Sat. / Dec.1-22: Sat. 1 Dinner. *Dinner will be a vegetarian-friendly Buddhist cusine. Connections from the Kyoto Afternoon Tour and 1-Day Kyoto Tour are available. In such cases please make the connection at Kyoto Hotel Okura. Connections from the Nara Afternoon Tour and 1-Day Kyoto & Nara Tour cannot be made to this tour. Buddhist vegetarian cuisine is served for dinner, so we welcome vegetarian participants. However, bonito stock is used in the tempura dipping sauce. Customers under 6 years of age are not permitted. Thank you for your understanding. Please be aware that at Gion Corner participants may have to watch while standing if it is crowded.